Spike your sarsaparilla with a bold bourbon and mix up the fun rooster cocktail! This easy mixed drink recipe is a ton of fun and has all the charm, gold, and grit found in the movie that inspired it. The rooster cocktail was created by mixologists at Wild Turkey Bourbon for the remake release of "True Grit" in 2012. Named after the lead character, Rooster Cogburn, the drink definitely has that old western movie saloon feel. Adding cinnamon schnapps to the whiskey-sarsaparilla mix brings in a really nice flavor, too. Just be sure that it's Goldschläger so you get some of that gold flake in your sudsy drink. Rim a double rocks glass with salt by using a lime wedge (or a glass rimmer) to wet the rim, then dip it in a shallow dish of kosher salt. Fill the glass with ice, then add the bourbon and cinnamon schnapps. Top with sarsaparilla and stir. Pour the sarsaparilla very slowly. Just like beer, it will foam up in the glass, so stop early enough to let the head develop and add more if needed once it relaxes a little. Try this drink with various sarsaparillas. 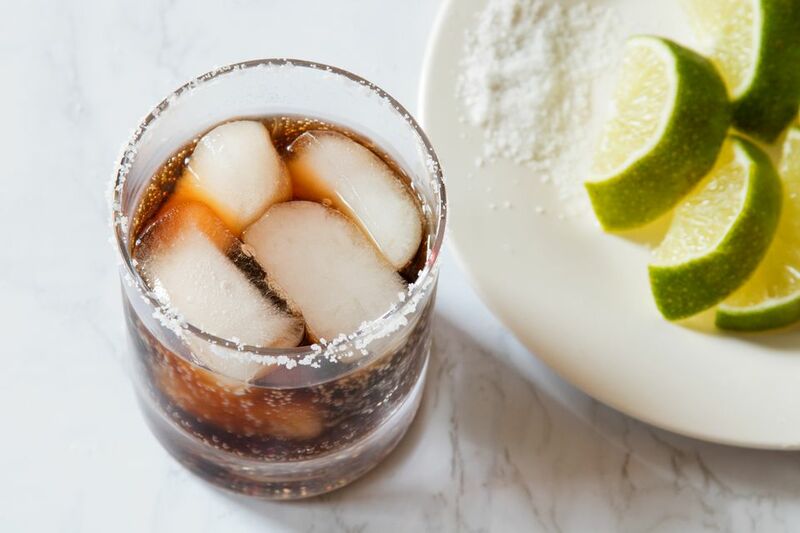 There are some really great options out there that are produced by smaller companies who specialize in old-timey soft drinks, each offering a slightly different taste. If you're going to substitute another bourbon for Wild Turkey 101, make sure it's just as flavorful. A soft whiskey can easily get lost behind the sarsaparilla. For the biggest flavor look for bourbons that are also above 80 proof. For more of a belly-up-to-the-bar saloon feel, serve this drink in a frosty beer mug and skip the salt rim. Ice is not necessary as long as the sarsaparilla is cold. Root beer is a very good substitute for the sarsaparilla. Cream soda and birch beer are two good options as well that will pair nicely with the whiskey and schnapps. Rye whiskey is another good style that can stand up to this drink. It tends to have a spicier profile that will add a nice depth of flavor. How Strong Is a Rooster Cocktail? The rooster cocktail may have been inspired by a rough character, but the drink is actually quite light. It's similar to other whiskey and soda drinks and will have an alcohol content around 14 percent ABV (28 proof). This will vary, of course, depending on the strength of your whiskey and how much sarsaparilla you pour.